Among China total energy consumption, coal accounts for more than 60%; while thermal coal holds about 85% of total coal burn. China coal industry stepped onto a downturn since 2012, making coalminers struggle against serious overcapacity and price drop. In the context of economic restructuring, Chinese government launched the supply-side reform since 2016 by means of decapacity and 276-workday reducing production. During the 13th Five-Year-Plan period, China will keep phasing out backward coal capacity, and the national economy is expected to show an“L”-shape growth, making the thermal coal market outlook especially worth of attention. 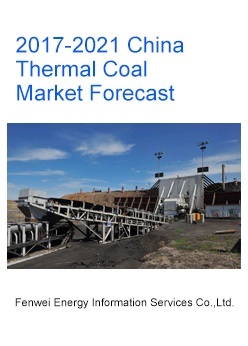 This report will review China thermal coal market during 2012-2016, from the aspect of supply, demand, import & export, prices and logistics, and then look into 2017-2021 by integrating with GDP growth, industry policies, thermal coal capacity and demand from downstream sectors.